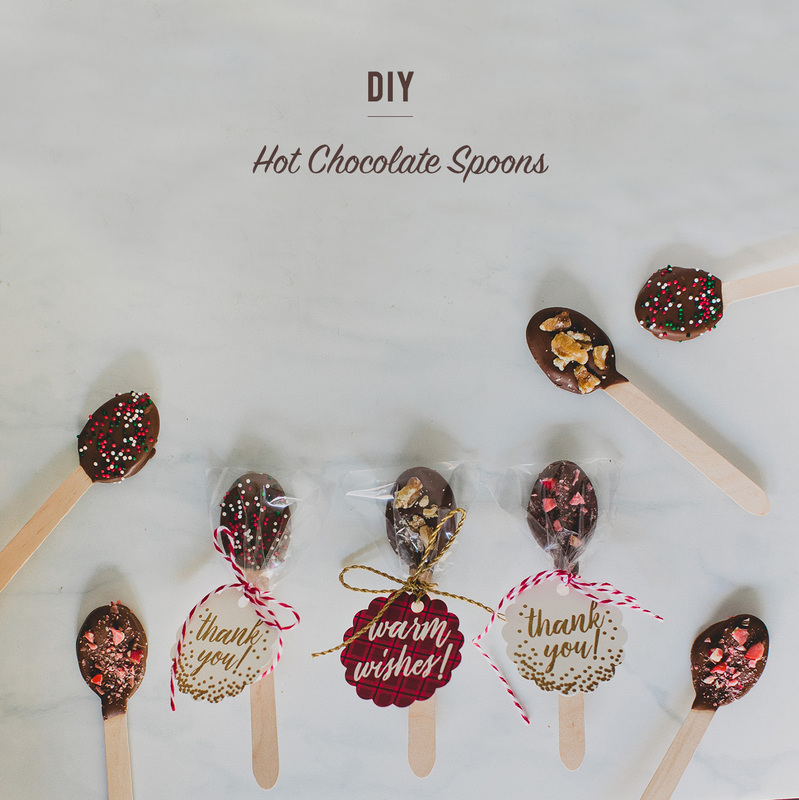 Today we are sharing a yummy DIY holiday favor that you can give to family + friends, or share as wedding favors for your winter wedding – hot chocolate spoons! Nothing better than to cozy up at home with some hot chocolate in your favorite mug. 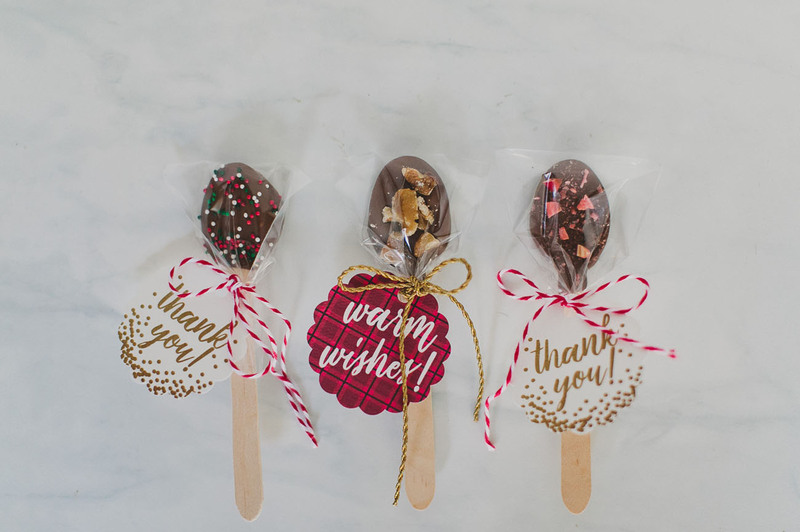 And we love that Avery lets your customize your favors + gifts into any kind of fun treat! We think these would not only be fun holiday gifts to give this year (you can even attach on top of a present!) 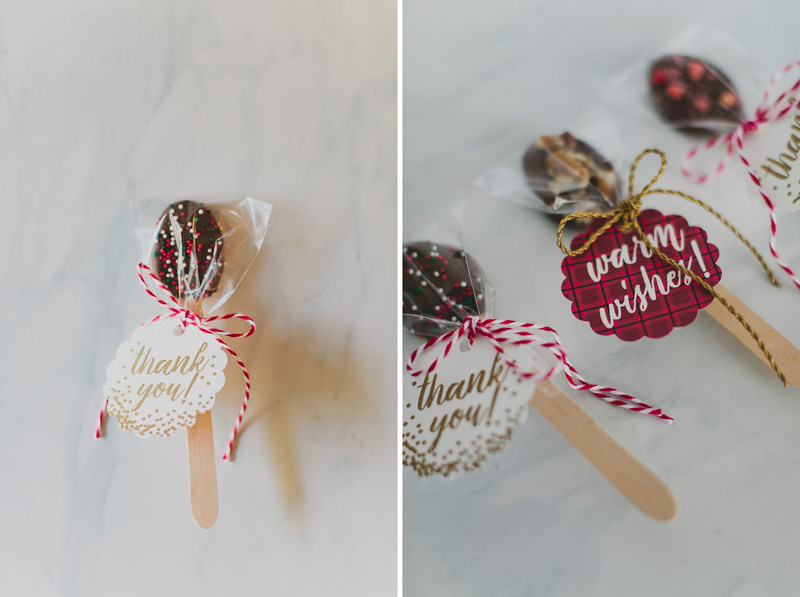 but would also make any winter or fall wedding a fun favor idea at the end of the night! 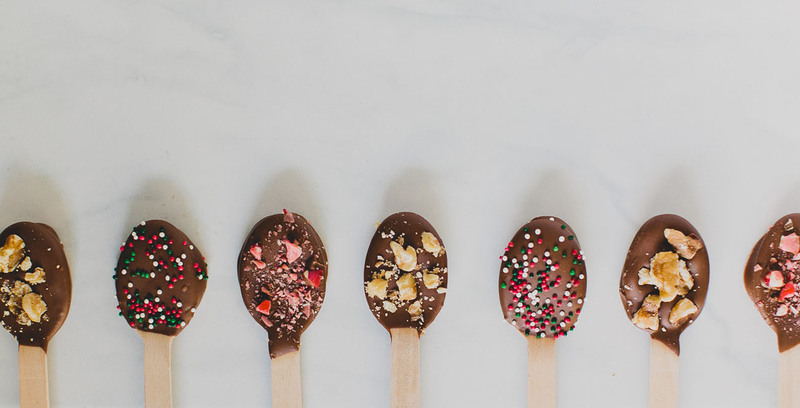 To create your chocolate spoons, simply follow the directions for melting on your chocolate package, and dip your spoons! 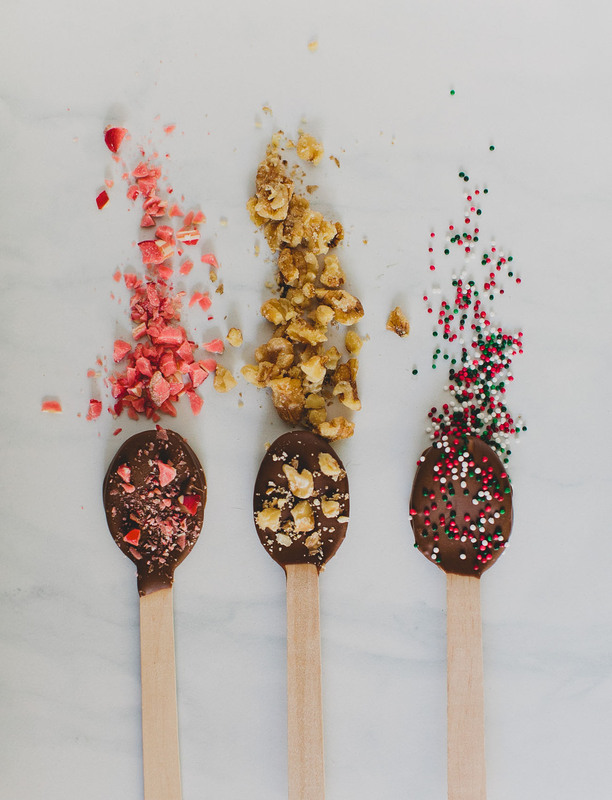 Lay them on a piece of foil on a baking sheet, and then top while still wet with your topping choice! After you download the files, you can open the .avery files in Avery Design & Print by going to avery.com/open and opening the file from there. As a heads up, you won’t be able to print the .avery files without opening them in Avery Design & Print. Print out your tags and tie them up with twine around the plastic bag. So yummy! 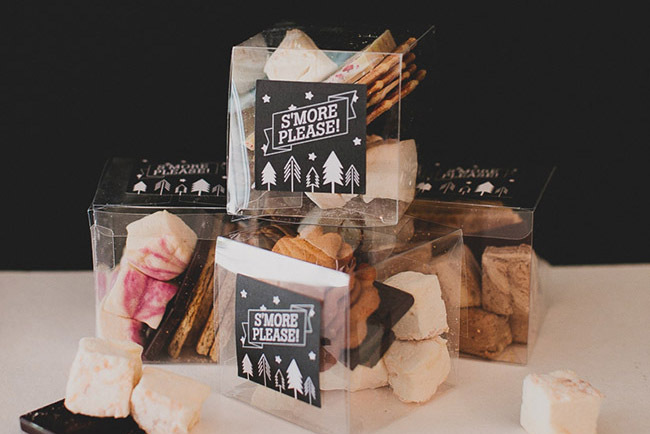 We are just dreaming of all the possibilities…sea salt flakes, mini marshmallows…! 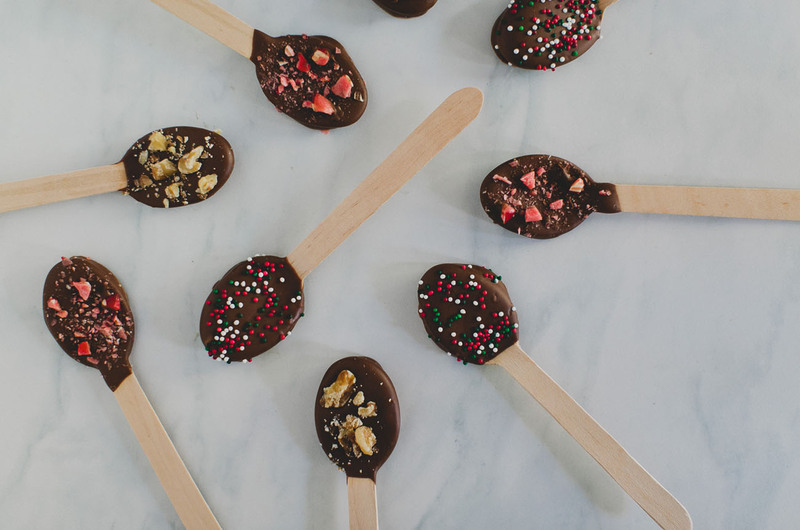 Ready to mix in your next cup of hot cocoa and take it to the next level!! 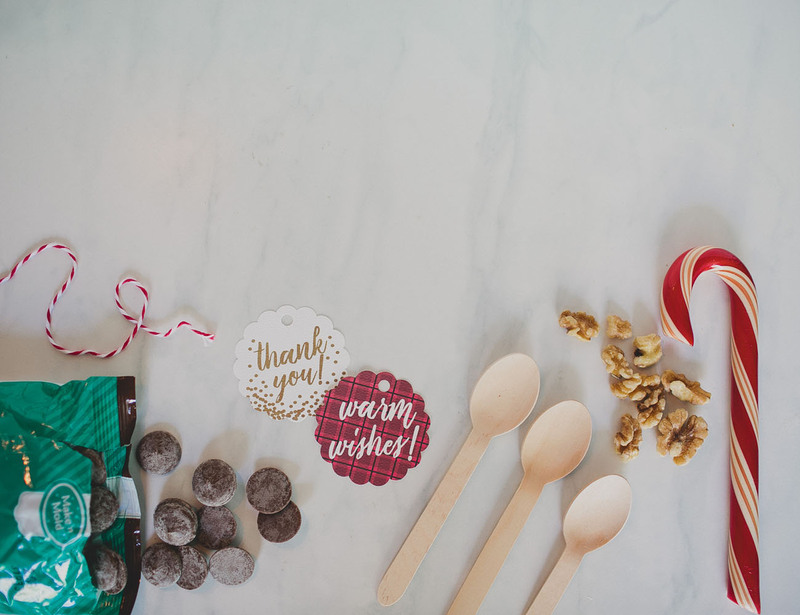 We hope you have fun using our Avery printables to create a special + thoughtful gift for your guests at your wedding or next event!